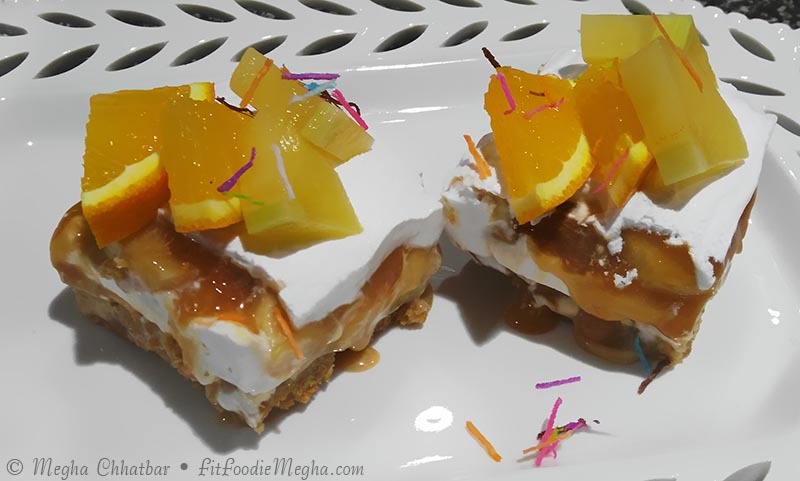 Fit Foodie Megha: Nim's Cake n Craft – Eggless Baking Workshop — Reviewed! 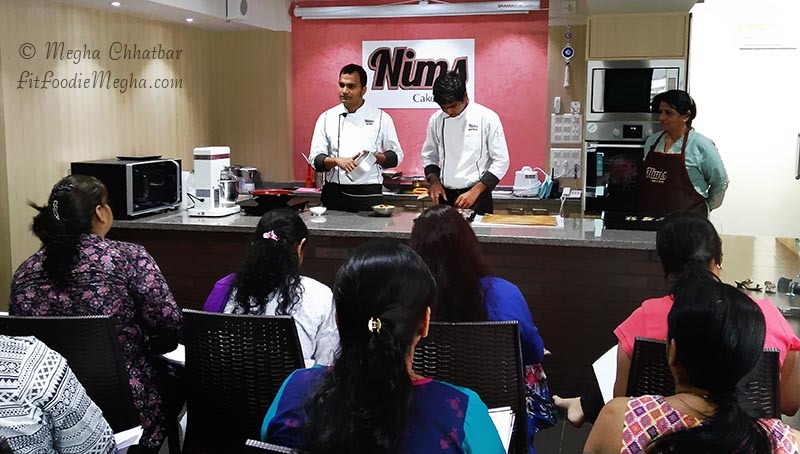 Nim's Cake n Craft – Eggless Baking Workshop — Reviewed! Workshops are always fun and informative. 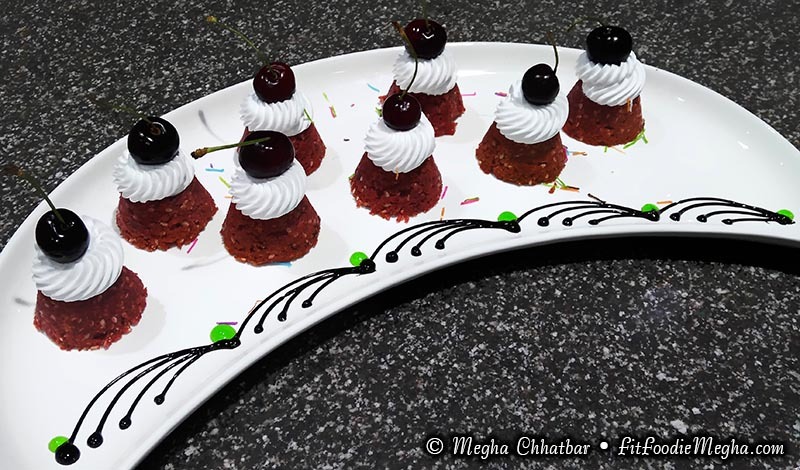 Being a vegetarian and inclination towards baking, it is really difficult sometimes to get eggless baking techniques. 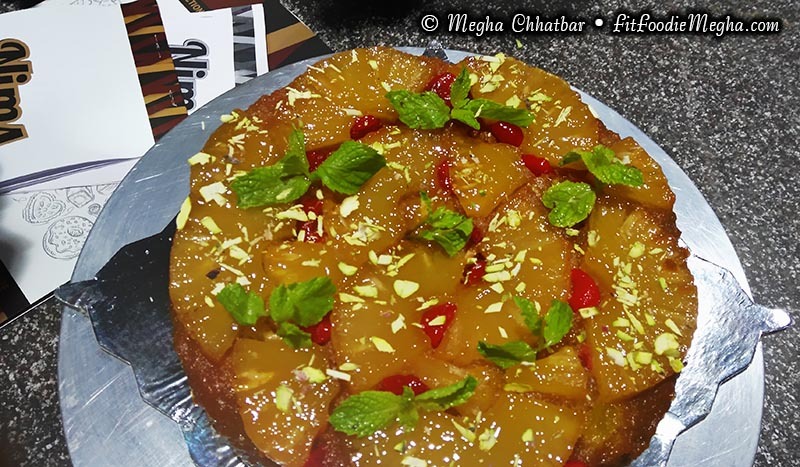 Now a days, market is open to books, websites and classes for home bakers like me to get a hands on knowledge of the same. I could not stop myself to grab this opportunity of attending Eggless baking workshop by Nim's Cake n Craft. 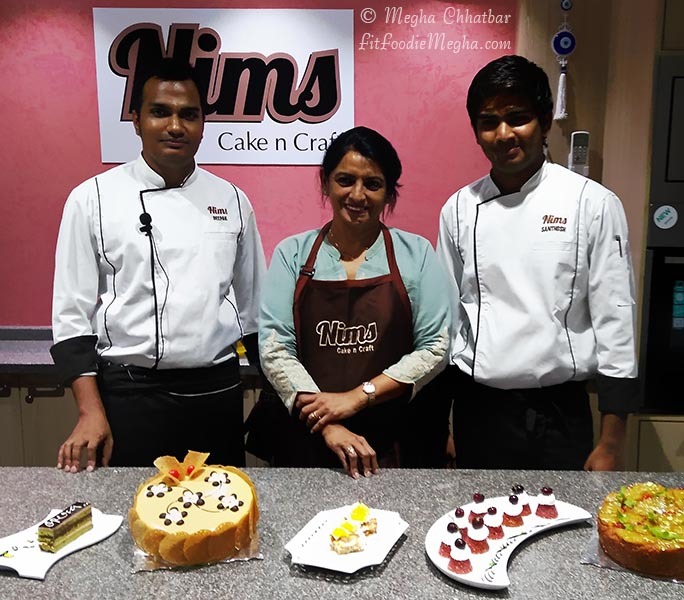 Nims is a cake-confectionery & culinary studio where beginners and professionals can develop and enhance their baking skills. 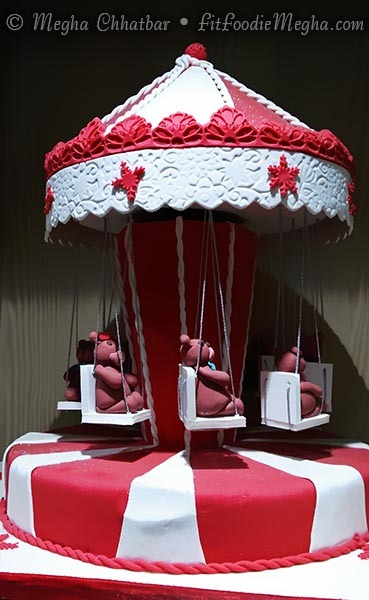 They specialize in occasion cakes such as birthday, engagement, wedding, baby showers and themed parties. 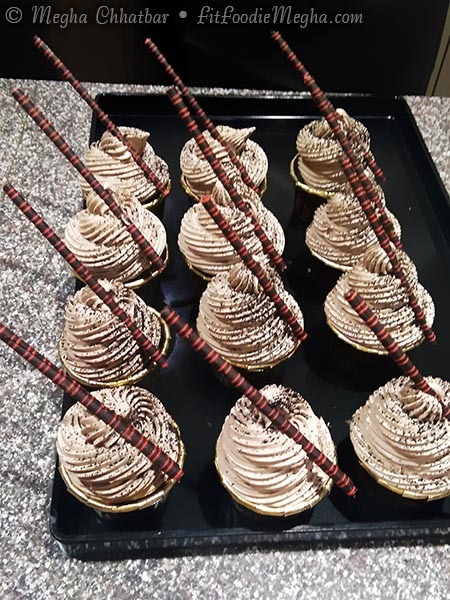 Workshops are held periodically for live demonstrations for catering smaller groups with a hand on practical experience. 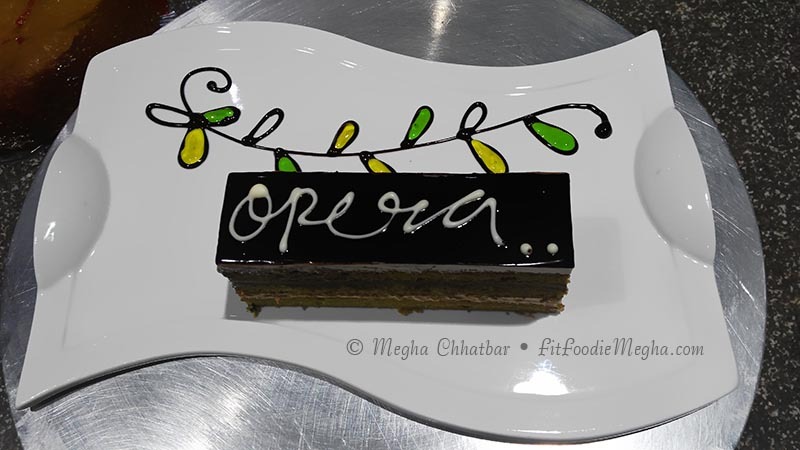 The chefs and artists are specialised, polite and helpful ones. The workshop is lead by Nima, the owner, who has earned various national and international certifications. 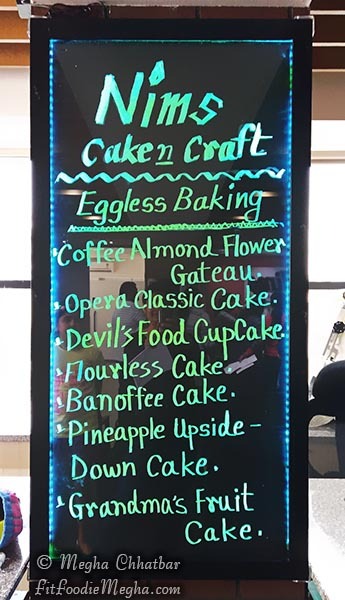 The session had seven eggless varieties of cakes.. Chef Deepak and Santosh were patient enough to handle all the queries. Each and every detailing were taken care of. At the end of the session, we were handed box of the sample cakes made. One better than the other in taste and presentation. Overall, a wonderful experience. Would love to visit again for more. Awesome :) Thank you nice write up! !